Product prices and availability are accurate as of 2019-04-19 09:42:40 UTC and are subject to change. Any price and availability information displayed on http://www.amazon.com/ at the time of purchase will apply to the purchase of this product. HIGH QUALITY ALUMINUM CONSTRUCTION - Our design features a rigid aluminum body that cuts down on weight without sacrificing strength! 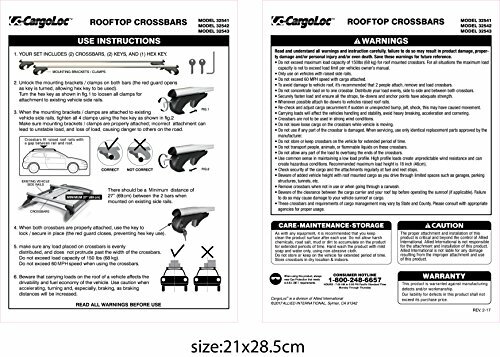 150 LBS LOAD CAPACITY - Whether it's a kayak, mountain bike, or skis, these cross bars will get your favorite toys to where the fun happens! 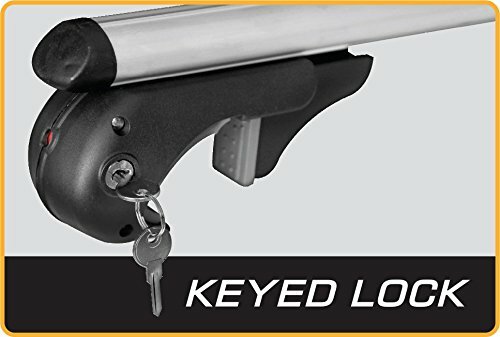 SAFE AND SECURE - A heavy duty clamping mechanism ensures the cross bars will remain firmly fastened to the existing side rails, and the keyed locking mechanism will make sure they stay put! MEASURES 52" END TO END - Fits a maximum of a 46" span between side rails, providing ample room for your gear! 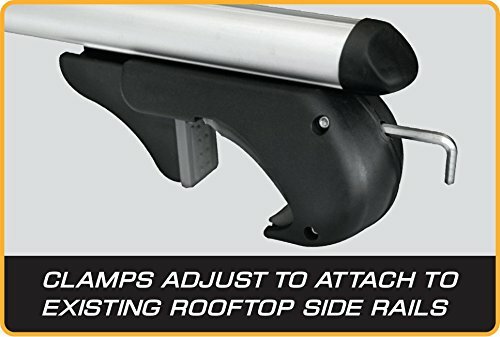 RAISED SIDE RAILS WITH GAP REQUIRED - Fits most vehicles with existing raised side rails with gap (maximum 46" span between side rails)!